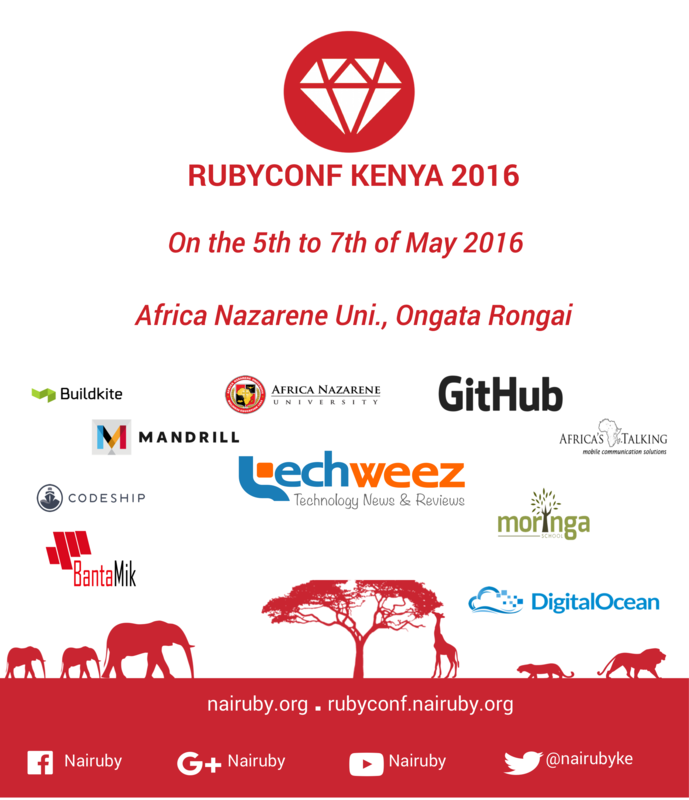 This year’s Ruby Conference organized by Nairuby is edging ever so closer and I am here to give you more information about what to expect this year. Like I said earlier, the theme of this year’s conference is all about nurturing entrepreneurship through the ever vibrant open source culture. Interested people are urged to register in order to get and develop ideas on how various open source concepts, both hardware and software can be used to further support their entrepreneurship journey. The conference, which runs from 5th May to 7th May at Africa Nazarene gives you the opportunity to learn from various respected leaders in the Open source, software development and entrepreneurship industries. Raymond, who is widely traveled is an experienced software developer, Open Source hardware enthusiast, founder of Wisdom Group, Organizer of ChicagoRuby, WindyCityRails and WindyCityThings. During the conference, his talk will be on showcasing open source hardware, Parallella which is a $150, credit card sized 18 core computer that runs on Linux. He will feature a Parallella running a rails application with parallel processing behind the scenes with hopes to distinguish parallel computing from concurrent computing. Example source code will be available on Github. Kelvin, who works at GitLab will be using the conference to demystify CI&CD, something that many think of as complicated and buggy. He aims to demystify continuous integration and deployment by showing different tools and challenges found when using them. He plans to do this by diving into layers of how an example CI/CD tool is build, run, tested and deployed. His talk at the conference will be all about Progressive Web applications, an area that has captured my interest in the past few months. Progressive web apps really take advantage of the ever increasing power of web browsers. With a single click on the browser, they are immediately added to your home screen and continued usage and visits, it becomes faster and more powerful, gaining access to your devices’ hardware, becoming network independent, storing and retaining user’s content or data and offering a full screen experience. He will be explaining the model, breaking down the heuristics and giving a few examples. 2.00 pm -2.45 pm: Entrepreneurship. 11.00 am – 11.45 am: Adoption or perception of opensource. Panelists: Kelvin Mutuma, Euguene Mutahi, Kennedy Kinyanjui. More information on the exciting talks and roundtable discussions to take place during the conference will be coming up shorty, so be sure to check for that. If you haven’t already, make sure to register to attend the Conference. Can Great Developers Be Great Entrepreneurs?